So welcome to the first in a three-part series of Are You Selling checking out the world of Hybrid cars. In Part 1 we look at new Hybrid cars. 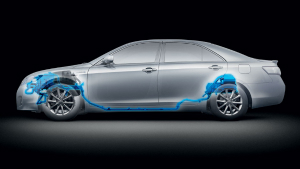 Part 2 examines the range of hybrid plug-in cars. And Part 3 investigates fully electric cars. A hybrid car has two motors – one electric, and the other an internal combustion engine. The power from these two motors can be shared to drive the car. The primary source of power is the petrol engine, with the electric motor cutting in when extra momentum is needed. Both motors cut out when the car is stationery, to conserve power. Hybrids reduce harmful fuel emissions while also increasing fuel economy. However, they cost more upfront than an equivalent petrol or diesel car, and – because their technology is still being refined – there can be issues with durability and cost of batteries, also with ease of switching between the two motors. Which models are currently available in Australia? Australia’s most popular hybrid car, the latest model has been pretty much unchanged for the last couple of years. For now, though, the Camry hybrid is sitting pretty, and has established itself as car of choice with Australian taxi drivers. It thrives in the stop-start city traffic that taxi drivers must negotiate every day. The Camry teams a 2.5-litre four-cylinder petrol engine with an electric motor and a nickel-metal-hydride battery, so the car can operate purely on electricity for up to 2km at speeds below 45kph – using no fuel and no emissions. The Toyota Prius is the world’s most popular hybrid car. And while it has lower domestic sales than its Camry stablemate, it is now Australia’s most affordable hybrid, with a lower asking price than its rivals. More compact than the Camry, it combines a 1.5-litre petrol engine with a 45kw electric motor. It’s one of the most efficient cars on the market, with combined cycle fuel consumption of 3.9 litres per 100 kilometres. Also from the Toyota stable is the impressive range of Lexus luxury and sports hybrids, but you’ll need deeper pockets to snag one of these. The Lexus Hybrid Drive System offers high fuel efficiency and low CO2 emissions but still with lots of oomph, along with all the luxury, convenience and safety features you could ask for. Honda is in the middle of a major overhaul of its hybrid fleet, having axed its CR-Z sports coupe, Civic Hybrid sedan and Jazz Hybrid hatchback in favour of a fresh start with new models. 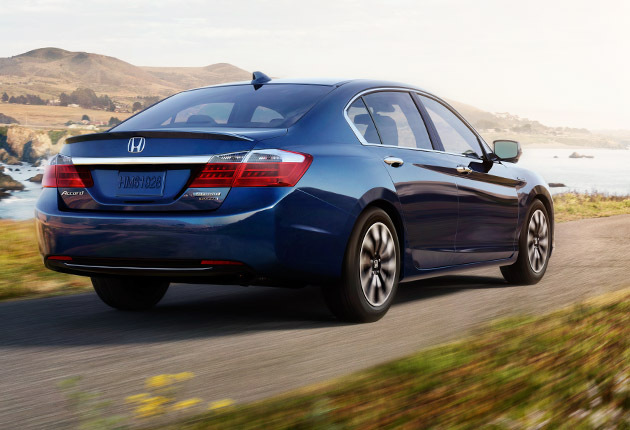 The Accord Hybrid, billed as a competitor to the Camry, is set to reach Australia over the coming months, with other models featuring new Hybrid Sport technology in the pipeline. Honda have been a pioneer of hybrid cars in Australia, but the company have been suffering from poor recent sales and struggling to compete with Toyota’s models. Toyota have sold more than seven million hybrid vehicles worldwide (including Lexus) so it’s hardly surprising Honda have had to rethink their strategy.